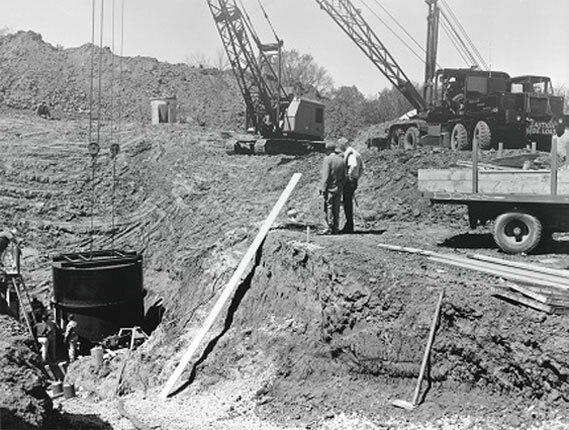 Garney Construction’s story begins in 1961, when Charles Garney left his father’s Kansas City plumbing business to start his own pipeline and utility construction company. Over the next two decades, Garney expanded into related construction activities and other regions of the country. Soon, Garney was known as one of the nation’s leading contractors in water and wastewater systems. Our company’s growth is continually powered by employee-owners who embody the business integrity and excellence in service Charles Garney brought to the company more than half a century ago. Garney Construction is founded in Kansas City. Charles Garney sold approximately 30% of the stock in Garney Holding Company to the employees and this began the process of employee ownership. Charles sold the remaining shares to the company, making it 100% employee owned. Garney acquires Grimm Construction of Colorado. This further enhances our capabilities in water treatment, pumping and storage facilities in the West. Garney acquires Encore Construction Group based in Florida. This helped solidify Garney’s treatment facilities operations in the Eastern United States. Garney Pacific formed and operations began in the far west. Federal operations established to serve the specific market sector nationwide. Being ranked top in the industry displays the depth of our experience and knowledge with the various water infrastructure components. Integrity and hard work are part of our culture, and we are proud it allows us to be recognized as an industry leader.